While some entrepreneurs opt to save money by outsourcing programming duties to companies overseas, Hoover says complications can outweigh benefits. "These programmers sometimes disappear in the middle of a project, or right afterward, which leaves no safety net or ongoing support," she says. Language barriers and time differences can also present challenges, she says. Instead, startups are recruiting programmers by making them co-founders and partners. Having an equity stake and the freedom to shape the technical direction of the startup can be big incentives to landing a great, full-time programmer, Hoover says. Unless you already have a cache of talented software engineers in your network, you'll need to start meeting some. Start by searching professional networking sites like LinkedIn or by making contacts at industry events. 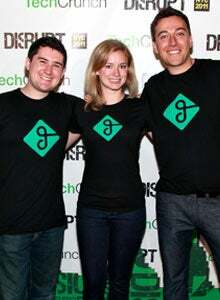 In 2009, while developing San Francisco-based Getaround, Sam Zaid and co-founder Jessica Scorpio were searching for a software engineer to build their web site and mobile app. The service allows people in need of a car to rent one from a community of car owners. Zaid and Scorpio attended an event for iPhone developers in San Francisco in hopes of finding a developer. The pair held two-minute group interviews with more than a 100 engineers. That's how they met their future programmer, Elliot Kroo, who was a software engineer with a company that was later acquired by Google. Then there's Yaron Samid, who went directly to information-technology industry experts for hiring advice. 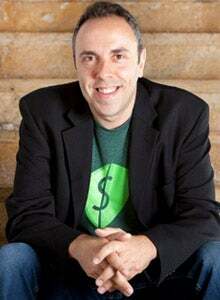 In late 2009, Samid was starting New York-based BillGuard, a personal finance service that alerts users to hidden credit-card charges, billing errors and fraud. Samid says he asked a "rock star chief technology officer, who was my blueprint for the person I wanted to build my company, who he would choose" as a programmer if he was starting a tech business. He recommended Raphael Ouzan, a then 22-year-old programmer who Samid eventually recruited as his co-founder and chief technology officer. 2. Ask programmers to create a prototype from scratch. Once you've met a software engineer you might want to work with, the next step is to assess his or her technical chops. One way is to ask him or her to write a program from scratch. "Have them prototype your ideas to get a sense of their speed, accuracy, attention to detail, creativity and, perhaps most importantly, how well you work together," says Samid, who is 38. Samid says he and Ouzan brainstormed together for weeks and asked Ouzan to prototype their ideas. Samid liked the results. "After this exercise, I knew Raphael was the ideal technologist to help me build BillGuard," he says. A simple interview usually won't suffice, Getaround's Zaid says. "You can't simply ask questions because you probably wouldn't know the right answer," says Zaid, 32. "It's kind of like talking to an architect and asking him or her about the best way to construct the foundation for a 50-story building. That wouldn't be a productive conversation for a nontechnical person in that industry." Related: Mobile App or Mobile Website? Zaid and Scorpio asked a group of five programmers, including Kroo, to create a preliminary version of Getaround's iPhone app as an unpaid tryout. "We did this not only to screen developers but also to find out what the app might eventually look like," he says. To help vet the programmers' work, Zaid recommends calling on someone you know with a technology background to serve as an advisor. In addition to providing you feedback, this advisor "would ideally be someone an engineer can find commonality with and trust, perhaps more so than a nontech person who doesn't understand the details," he says. 3. Offer to make him or her a partner. About a month after meeting Kroo, Zaid and Scorpio determined they wanted him to be their chief software engineer. He started working for them on a part-time basis. Kroo eventually left his full-time job to join Getaround after Zaid and Scorpio offered to bring him on full-time as co-founder and director of engineering. "Getaround is a huge opportunity with far greater challenges and a far greater potential impact than your traditional web startup," says Kroo. "Joining and co-founding Getaround in this light was no-brainer." When courting a key engineer candidate, it's important to explain your business vision and roadmap to achieve it clearly, Zaid recommends. "Sometimes, engineers might not understand the business side of it," he says. "If you can explain [the business and his or her role] effectively, you're that much closer to being able to convince someone to give your idea all they have." Zaid says negotiating how much equity to offer depends on a number of factors, including the programmer's experience. "Bottom line, you want to make sure everyone involved is motivated," he says. "If you bring an engineer on as a partner, you want him or her to feel invested, and the incentive is that they have control to lead the technical vision and execution."